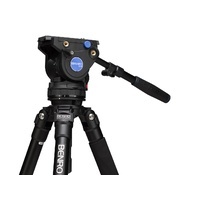 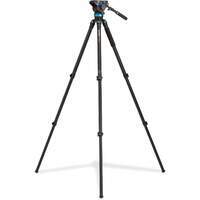 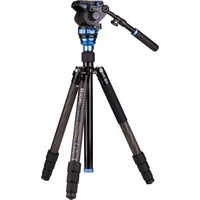 The Benro A373FBV4H is a lightweight video tripod kit with professional stepped controls. 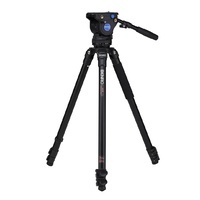 With a BV4 head, the 3 series stage, 3 section aluminum tripod legs incorporate a 75mm bowl, three leg angles for uneven terrain and quick flip leg locks. 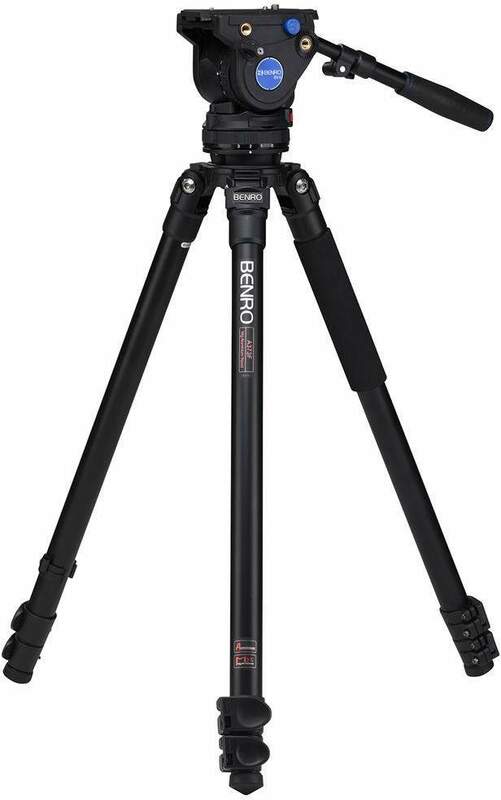 The Benro A373FBV4H is a lightweight video tripod kit with professional stepped controls ideal for camera setups up to 8.8 lb. 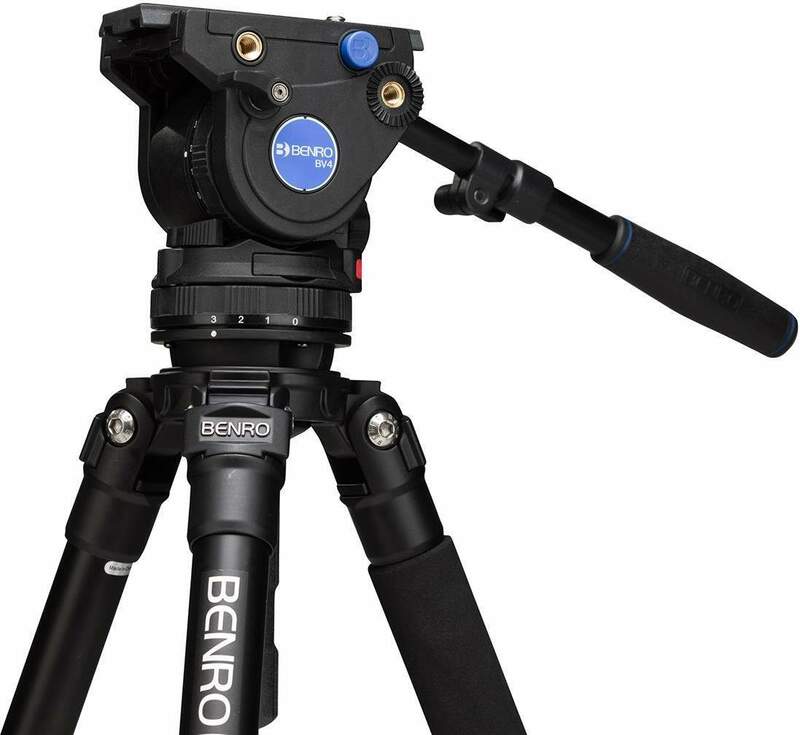 The BV4 head is equipped with operator side controls which are located on the left side of the head making it easy to adjust while operating the camera. 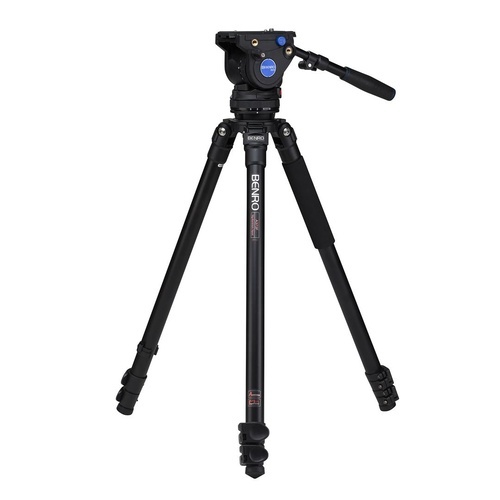 The 6-step counterbalance (steps 0-5) allows you to dial in the right amount of counterbalance for each setup, which helps when changing lenses or adding accessories. 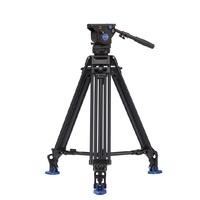 The 4-step pan & tilt drag controls offer a more professional style setup and help to repeat smooth movements. 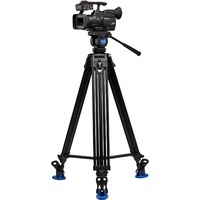 Two 3/8" accessory mounts come in handy when needing to add a simple audio recorder or monitor. 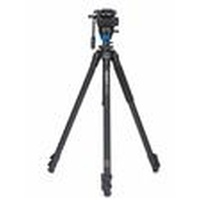 For added versatility, the tie down stud is removable to convert the BV4 head to flat base mode for mounting to a slider.